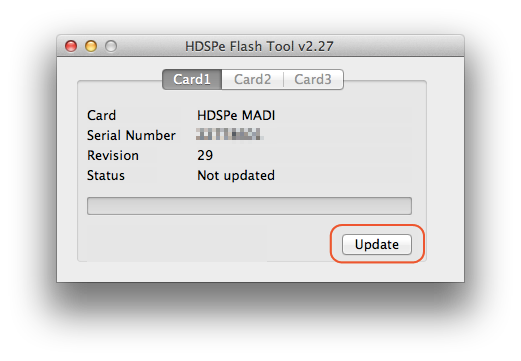 - Update of the HDSPe PCI and ExpressCard to V 18. 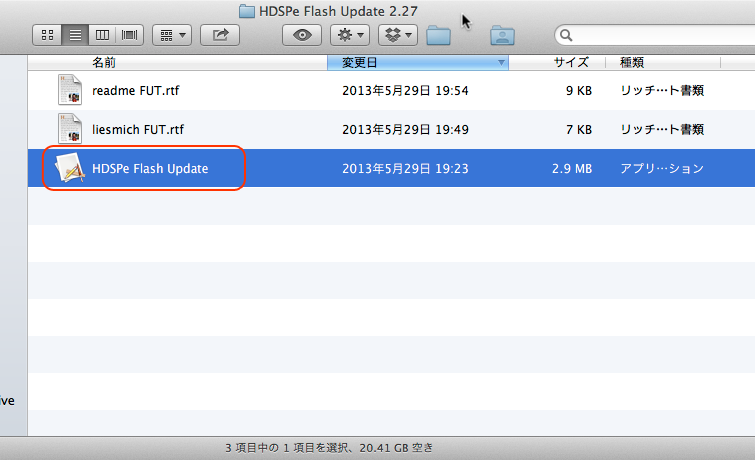 Changes for Mac HDSPe driver v2.69. - Update of the HDSPe AIO to V 10, RayDAT to V 11. The "Record-Output" function in TotalMix did not work correctly. - Update of the HDSPe MADI to V 25, AES to V 6, RayDAT to V 10: Increased system load when extension board is not connected and MIDI started. - Update of the HDSPe AIO to V 9. - Update of HDSPe AIO to V 8.Internal word clock detection (LED) sometimes failed. - Bug fixed in all HDSPe cards: switching off channels could lead to an invalid state within the hardware (this error did only show up with Windows ASIO). Copyright RME 07/2018. All rights reserved. Macintosh, Apple and Mac OS are trademarks or registered trademarks of Apple Corporation. RME and Hammerfall are registered trademarks of RME Germany.